The opportunities and dangers posed by the impending departure of Britain from the European Union were explored when the local branch of the Bank of Ireland and the Tullamore Chamber of Commerce teamed up to host a "Brexit Business Briefing" last Wednesday morning. 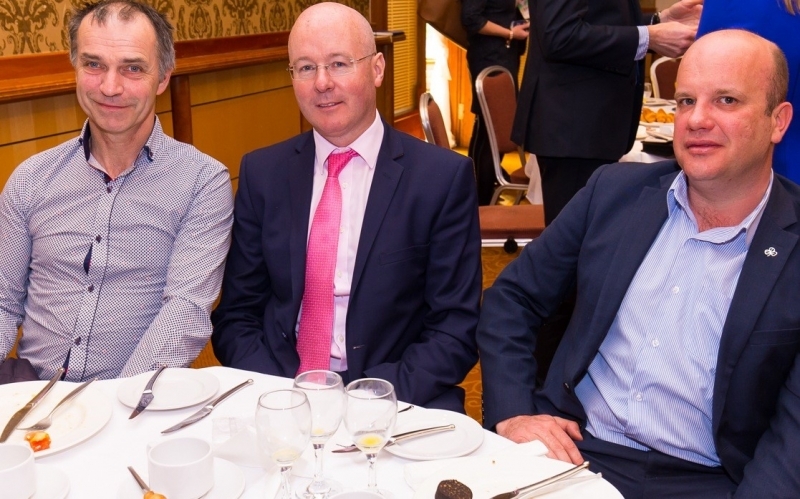 Representatives of businesses from throughout the wider Tullamore area, Chamber of Commerce members and Bank of Ireland officials attended the early morning event in the Tullamore Court Hotel. Master of ceremonies, Paschal Naughten, Head of business banking with Tullamore Bank of Ireland, said "Brexit was probably the biggest issue to effect the Irish economy" since independance. Darragh Fitzgerald, Head of the Sterling Desk with Bank Of Ireland Markets, gave the attendance some food for thought in relation to the uncertainty in the markets and the need for exporting/importing businesses to be aware of currency and interest rate movements. "Locking in exchange and/or interest rates maybe a prudent option for some business", said Mr. Fitzgerald. 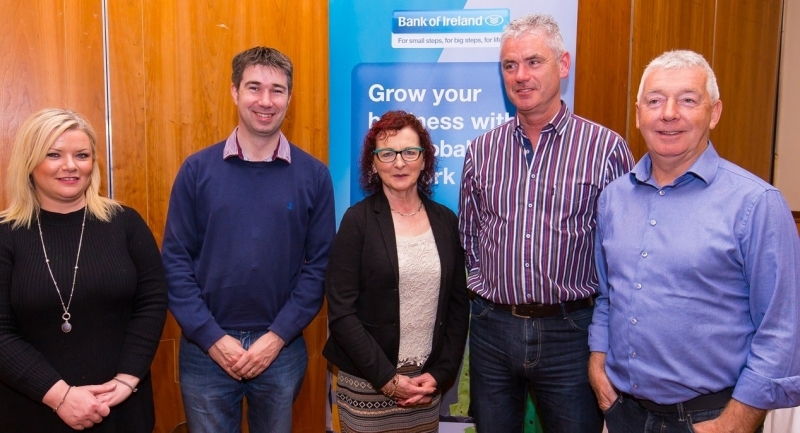 A presentation on Bank of Irelands three year exclusive partnership with WebPort Global was also given to diners. WPG will help customers develop and understand their trade objectives e.g. what and where is the right target market. The WGP service will do the back round research on the market.